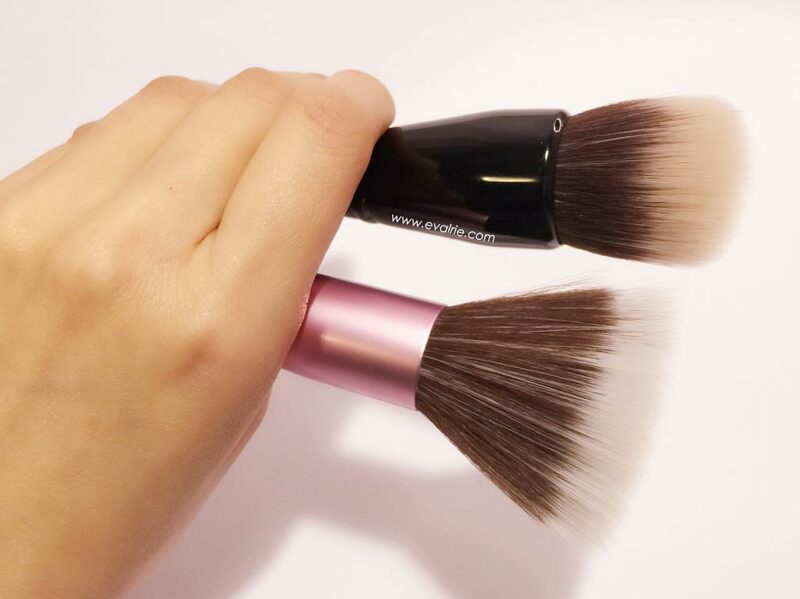 Just when I thought my quest for the perfect foundation brush was over (current love: Stila Brush #33 – One Step Complexion), this little beauty pops onto my radar. I had to have it. As with all bareMinerals brushes, it came packaged in a sealed plastic sleeve with another plastic slip inside. While the packaging isn’t the prettiest, it does provide reassurance the brush is clean and no one else has played with it beforehand. I prefer liquid foundations and have found the best brushes for its application are rounded or buffer-styles. Paddle brushes tend to leave streaks and regular stipple brushes are too flexible and splays out over my face. 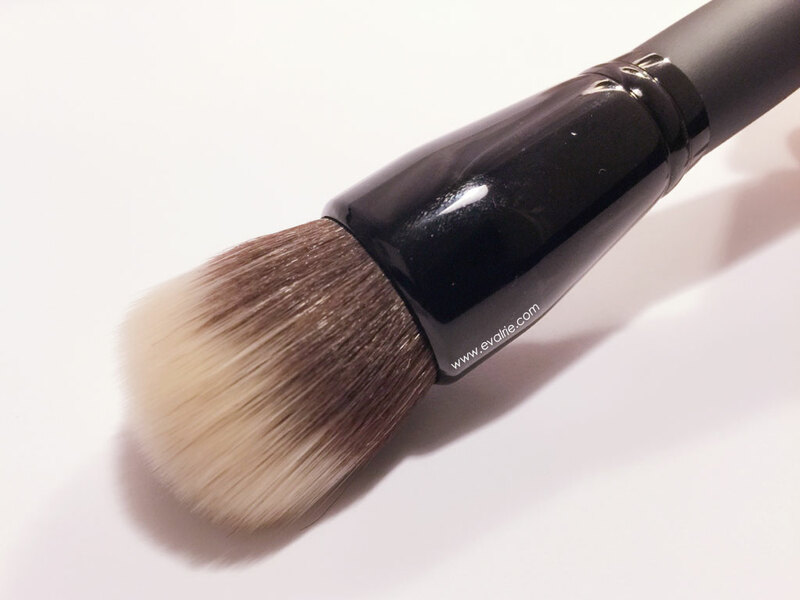 I couldn’t resist the dome-shaped rounded bristles of this bareMinerals Smoothing Face brush! These dense dual-fibers picks up just the right amount of foundation for stippling and buffs to a perfect, airbrushed look. Having a chunky, shorter handle provides better grip for a more controlled application. Here’s how it compares to a standard-size stippling brush (Sigma Duo Fiber F50). 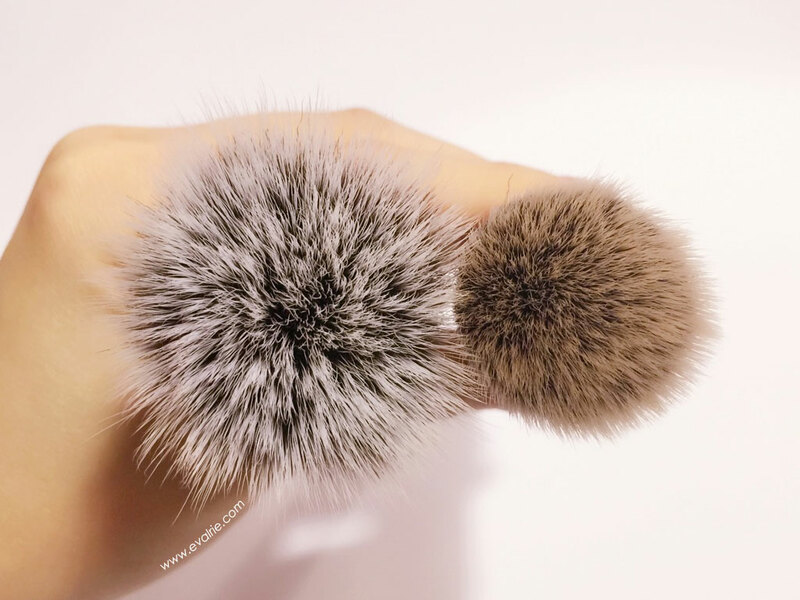 See how long and widespread the bristles are compared to the Smoothing Face brush? I would recommend this brush for fuller coverage foundation to get a lighter finish (no one likes the cakey look, right?). Loving how it hasn’t shed at all, plus the small size easily fits into a makeup pouch for travel. 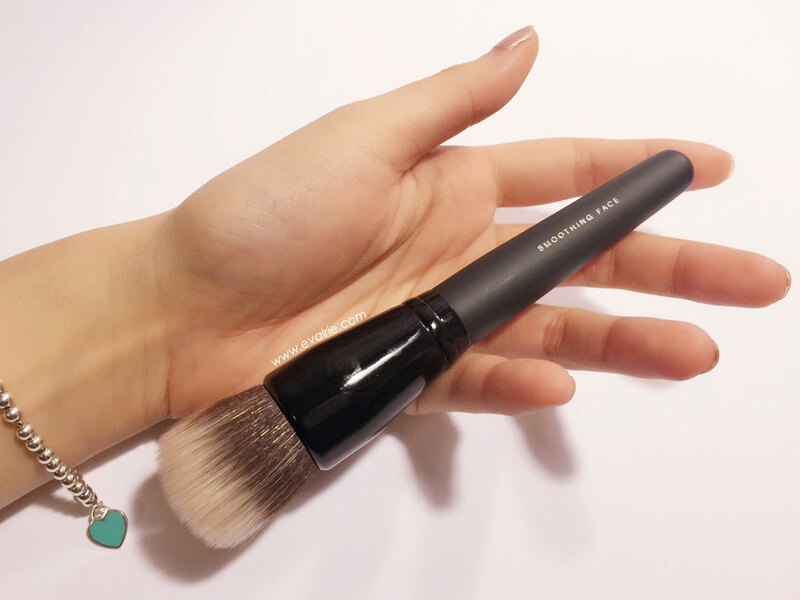 Pricing for bareMineral brushes are very reasonable and on the cheaper end. This one is currently available at Mecca for $36 AUD. 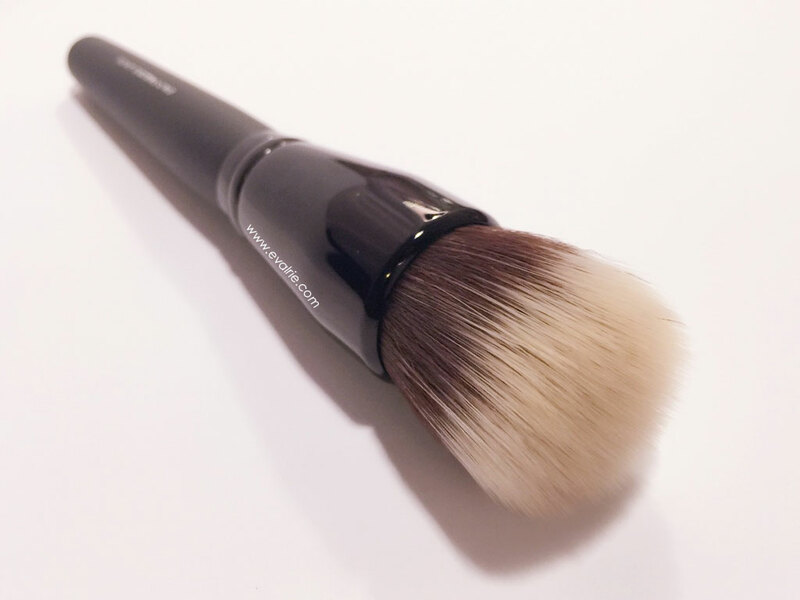 This entry was posted in Makeup, Reviews and tagged bareMinerals, brushes, face, reviews, tools. All-round girly girl who likes the finer things in life but sometimes will forgo a full face for 15 more minutes of snooze time.